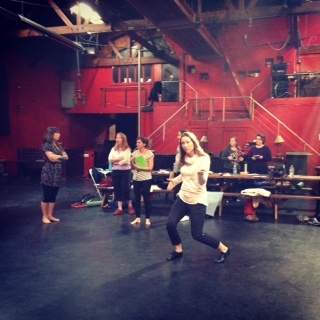 Aerialist Bianca Sappetto at Physical Text workshop demonstrating how to ground in our bodies when we tell stories. Where is the high wire? The trapeze? The death-defying leaps? Instead, the aerialist brings you down from the air. Off the freeways. Into your body. At first you resist. Then, bit by bit, you become silk. It is long. So long. The spine stretches like a rod. A spine. Steel and central. What’s this? The hands…they expand. They curl out like autumn leaves. Dry, fragile, symmetrical. One foot is curled over the other. They are twisting. Roots, growing and gnarled. Twisted into the earth. By now, tears are warm against your cheeks. Like rings of a tree, you feel violence against women — strikes against cheeks, ligatures on necks, brutal beatings around the head — they shudder through your body. Through time. Where is this coming from? 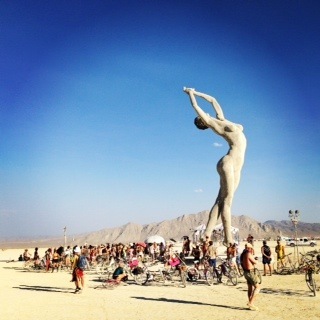 You flash on the gorgeous 40′ tall sculpture from Burning Man. You were all transfixed. All 68,000 of you. Truth is Beauty. She was gorgeous from every angle. At night. In daylight. Truth and Beauty by Marco Cochrane. Burning Man 2013. Black Rock City, NV. You are at a one-day workshop. Physical Text. Bianca Sappetto, an aerialist, leads you through this exercise. 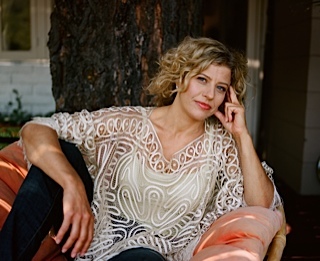 The co-teacher and your friend, Jillian Lauren — author, performer, mom, rock wife who once spent time in a harem and wrote a book about it — she gets it right away. You didn’t expect this collective story to ripple through your body. You didn’t realize how much you absorb the violence, the threat, and how it shapes you. Warps you. How you recognize the fear and hiding in others. How you want to make them feel safe. Draw it forth. The safety net you offer is story. What moves you on the deepest level? Are you expressing yourself with courage? Does your essence come through your business? 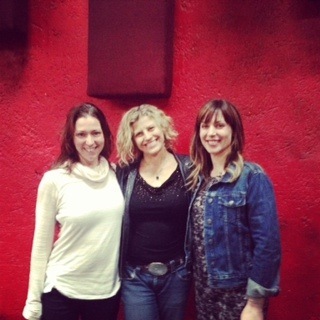 Aerialist Bianca Sappetto, Yours Truly, and author/performer/mom/rockwife Jillian Lauren. Physical Text workshop, Fais Do-Do Lounge. Los Angeles, CA. Try this exercise. Carve some sacred space for yourself. Put on some comfortable clothes. Roll out a mat. Have pen and paper near by. Now breathe deeply. Concentrate on each part of your body. Still yourself. Then sink into a pure pose. Whatever way your body surrenders. And when you’re ready, get up — eyes still closed — and draw that pose as you imagine it. Imagine your body. Now open your eyes. What do you see? What insights flood in? We’d love to know how this exercise works for you. If you, too, experience something profound. If you gain insights. Tell us how you let them inform your business writing. Your blogs, your ezines, your talks. Thank you for being part of our collective consciousness. Our fiery community. We are experiencing the conversation on a cellular level. I left you a Facebook message because I included a picture of a beautiful woman we watched perform this last summer. Absolutely breath-stealing, lung-squeezing. It hurt to watch her in a glorious way. Incredible human art as she danced in the sky. Your post is a profound reminder of something that we ignore all to often. We are all connected. When we stop, slow down and tap into our core, we find each other and all of humanity. What we have done, what we are doing and what we have the potentiality to become- if we only will.